UMass Dartmouth professor Brian Glyn Williams with his book "Predators: The CIA&apos;s Drone War on Al Qaeda." 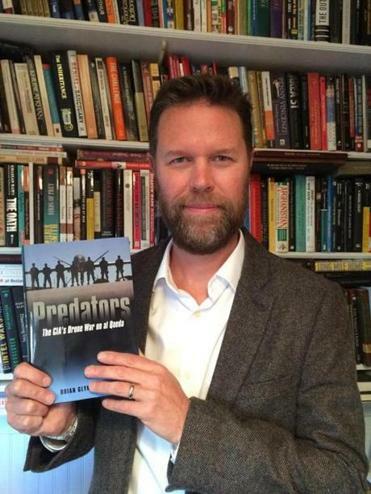 Typically, a book like “Predators: The CIA’s Drone War on Al Qaeda” would attract the attention of academics and military experts, politicians and policy wonks. But probably not rock stars. So it was quite a surprise when author Brian Glyn Williams (below), who teaches courses in terrorism and warfare at UMass Dartmouth, discovered that his book was the basis for the new album by the Grammy-winning English band Muse. In the story, Muse frontman Matt Bellamy said he got the idea for the band’s new concept album, “Drones,” after reading Williams’s book. Williams says he sent Bellamy an e-mail thanking him for the shout-out, but he hasn’t heard back. Not to mention his wife, Feyza Williams, who pledged to finally read her husband’s book after reading what Bellamy had to say. Muse is currently on tour in Europe, but when its shows up in the US, Williams said he’ll be there. And, no, he’s not expecting any compensation for providing the band with the idea for its album.